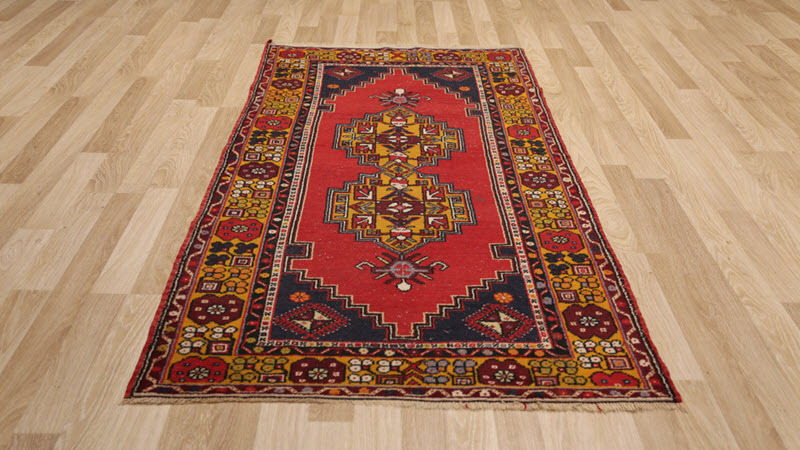 Smart Choice is well-qualified to handle your Turkish kilim rug repair and restoration. Once a part of the yarn is damaged, the entire color block is at risk of unraveling. Smart Choice can stop this from happening with Turkish Kilim rug repair! We can also prevent that damage from spreading throughout the rug. The correct materials must be painstakingly chosen. This includes searching far and wide for the highest-quality wool to repair holes and tears, along with edge overstitching or fringe repairs. This yarn may come pre-dyed, but we also have the capability to dye it in-house to get an exact match. To begin Turkish Kilim rug repairs is stretched onto a loom if the repairs are extensive. Some small repairs can be done by fastening only a part of the rug to a smaller structure. Damaged fringes or unraveled pile needs to be unwound a bit so our experts can get back to strong, undamaged threads, whether it be the original warps or the woven yarn that makes up the pattern. 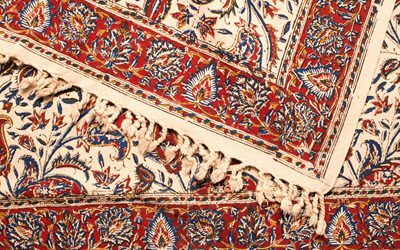 In the case of holes or tears, the structure of the rug must be rebuilt first. Then, we examine the pattern carefully and begin reweaving matching yarn to recreate that pattern. If fringe repairs are needed, we stretch the existing fringe out straight and temporarily fasten it while stitching new fringe into the edge of the rug, making sure to incorporate and secure the outermost warps. To finish the Turkish Kilim rug restoration, we may re-color it with a time-tested dyeing process, then the rug will be washed and dried, stretched and ironed if necessary before it is returned to you. A Turkish Kilim rug is usually composed of wool only, although some do include cotton warps. The weaving process, a technique called Slitweave, is responsible for this distinction. It’s also the reason Turkish Kilim rug restoration can be so difficult! In this technique, warps are wider and wefts are close together, so close, in fact, that they cover the warps. The warp and weft are not evenly spaced so both are not seen. The weaver works on one color block at a time, often using a continuous thread of yarn for the entire section. When he or she gets to the edge of that color block, the yarn is turned back on itself, often doubling up the weaving. The ‘slit’ is the space left between two blocks of color in the pattern. Because of the unique double weaving technique, Turkish Kilim rugs are often reversible, showing their geometric, striped, or floral pattern beautifully on either side.